2 Euro Luxemburg 2002 (found inside 2002 roll). 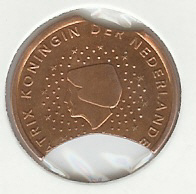 The coin was struck without the golden center part. 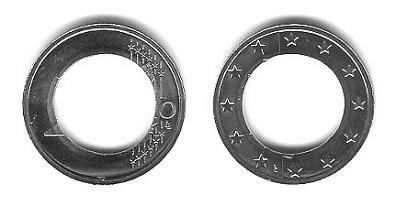 Some details which are normally on the golden part of a 2 Euro coin are on the silver Ring now. Thanks to Sebastian R. for the nice Error. Image placed in June 2004. 50 Cent Luxembourg 2002 with a die error on common face, just below the number 5.